The film bond completion guarantee market is changing. A sleepy sector of the insurance industry, the market has remained largely unchanged for the past 60 years. In April this year, it saw its first new entrant in six years with the launch of Media Guarantors Insurance Solutions. With substantial resources behind the start-up, the support of XL Catlin and two highly respected industry figures (chief executive Fred Milstein and Scott Nicolaides) managing it, Media Guarantors is seeking to shake up what is a highly concentrated market dominated by a handful of bond companies, their brokers and their insurers. The biggest, and by far the oldest, player in the market, Film Finances, which was established in 1950, is estimated to have a 60% share of the US market, as well as a 60% share of the notably smaller, but growing, completion bond market outside the US, which covers the UK, Europe, Latin America and Asia-Pacific. In the UK itself, Film Finances, which is based in Los Angeles, has an 80% share of the bond completion market, according to the company’s most recent annual results. But recently, as a result of the changes in the global entertainment industry and the ongoing consolidation in the insurance industry – not the least the merger between Axa and XL – other bond companies are beginning to gear up in a more concerted way to challenge Film Finances’ global dominance. The Axa/XL merger has had repercussions in the bond completion market on the continent. Axa was the lead insurer and Swiss Re was the reinsurer for European Film Bonds (EFB), the leading European completion bond company. But after the merger between Axa and XL, EFB has struck up a new partnership with Inter Hannover, a subsidiary of Hannover Re which, presumably, will take over the reinsurance of the EFB portfolio. With so much change and disruption in the independent film finance space, Milstein sees clear opportunities for a new film bond company. “We want to be innovative and we see ways of bringing technology into our business,” he says. Emerging completion bond markets in Latin America and Asia, particularly in China and India, are also attractive, he adds. A completion bond is a specialized insurance policy generally required by independent film productions as a guarantee to investors, banks or film distributors against financial loss in the event the film is not completed on time, on budget or as originally conceived. By contrast, the films made by the major studios tend to be “self-bonded” (financed by the studios themselves). But new entrants such as Media Guarantors and other freshly motivated bond companies such as EFB are not going find it easy to dislodge the hold Film Finances has on the global market, according to Adam Leegood, a completion bond broker and a director in the property/casualty division of BMS, which has served as Film Finances’ exclusive broker for the past 25 years. The problem for the competition is Film Finances, itself, is gearing up to the new realities of the market. In June last year, the company listed on the London Stock Exchange to facilitate its access to capital and with the help of MS Amlin, a long-term insurance partner and investor in Film Finances, it also established a captive insurer to save on insurance costs. The challenge for completion bond companies trying to increase their share of the market, according to Leegood, is not just about finding the right professionals to run the business. “It is also about finding insurers willing to provide flexibility to the bond company, and it is also about scale. It is very hard to put those three things together,” he says. Another barrier to entry for completion guarantee companies is the considerable underwriting capacity for the catastrophic risks associated with large independent movies, according to Brian Kingman, managing director of the entertainment practice at Gallagher North America. “To be a player, they need to have access to $100m or more in capacity,” Kingman says. Gallagher also arranges reinsurance for the major bond companies through its subsidiary Capsicum Re. According to its own estimates, Gallagher has a 60% share of the global market for film and television and live event insurance products. But the bigger completion bond companies such as UniFi Completion Guarantors and ProSight, which are as focused as Media Guarantors and EFB on taking business away from Film Finances, have first-hand experience of the critical importance of bringing together capacity, scale and expertise in the right combination at the right time. Indeed, almost all of the management of UniFi used to work for International Film Guarantors (IFG) which, before it was shut down in 2013, was the second-biggest player in the market. UniFi, which is in the process of expanding its operations, emerged shortly afterwards as a much smaller boutique bond completion company, capitalizing on the professional standing of the old IFG management in the market. Similarly, Prosight Specialty Underwriters when it acquired syndicate 1110 in 2012, introduced the first completion bond product into the Lloyd’s market. 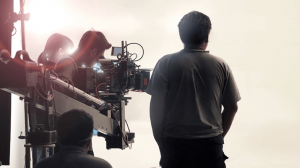 Three years later, Prosight became the first company to offer film production and completion bond insurance in one product in a controversial move to increase its market share. Although syndicate 1110, which was put into run-off last year, wrote other lines of business besides film production insurance and completion bonds, it was an important part of Prosight’s strategy to extend its reach into completion bond markets of Europe and Asia. Like EFB and UniFi, Prosight too has regrouped to take advantage of changes in the market with its flagship combined offering. These changes include the growing popularity of on-demand film subscription services such as those offered by Netflix and Amazon, which, to satisfy customer demand, are also increasingly commissioning material direct from independent production companies or as co-productions between an independent production company and one of the major studios. For most of these co-productions, completion guarantees are required. According to one industry expert, there is an increasing desire, even among the major studios, to take cash investments off the balance sheet by borrowing the money to finance a film rather than advancing it directly, which further increases the demand for policies guaranteeing completion and delivery of the project. Another major change in the industry over the past few years is the way in which European film production companies have come around to the use of completion bonds, which were regarded on the continent – with its strong auteur tradition – as giving a license to a commercially motivated third party, such as a bonding company, to interfere with the artistic integrity of the film. If a director goes over schedule and over budget, the bonding company has the power to intervene. But the combination of the significant reduction in state funding for the European industry and the influx of private, often global, capital are forcing European productions to come round to completion bonds. For example, one of the most profitable markets for EFB is Spain, where films are funded on the basis of pre-sales in Latin America and the US, which then need to be guaranteed. EFB points out there has been a similar lessening of resistance to completion bonds in two of the continent’s key markets – France and Germany – opening up the bonding market to new players. The bonding companies competing with Film Finances are also making inroads into Asia, in particular, China. But Film Finances is not far behind, having signed an agreement with the People’s Insurance Company of China (PICC) in June last year as part of a move to write its first insurance business in China. The next two to three years will be an interesting period for the global film completion bond insurance market, according to Kingman. With the domestic US market being somewhat flat, he expects that growth will be outside the US. “There are growing needs in China, India, Latin America and other countries where the population are demanding more sophisticated and just generally better entertainment,” he says. While there are obvious opportunities for growth, Kingman says the market for film completion guarantee products is fairly finite. In particular, he questions the growth potential of a combined production and completion bond insurance product. “Insurance products normally afforded the film industry usually assume risks for unexpected, unintended happenings such as severe storms; incapacity; the death, sickness or injury of the cast members or a director; accidents on the set causing third-party liability claims; and other unforeseeable events. “Completion bonds are guaranteeing the expected – that things will happen the way they should happen; therefore, these are two separate disciplines. I do not see a combination being a big advantage other than they do share the same insurers in many cases,” he says. Leegood also points out that, to date, the combined policies on offer in the market have had mixed success. However, he sees China and India as the biggest potential growth areas for the market. “To make this happen, the financing behind their film industries needs to develop into a manner similar to the very advanced operations in the US and the UK,” he says. The global demand for output, Leegood says, is continuously growing, with the advent of streaming companies adding to the demand from traditional terrestrial and cable operations. “Over the years, there are occasional dips in the market, but the business always comes back stronger,” he adds.